Attention teens and families! Come to the North Suffolk Library to find out more about all your options beyond high school. Learn about financial aid, how to apply for scholarships, and budgeting in life beyond high school. 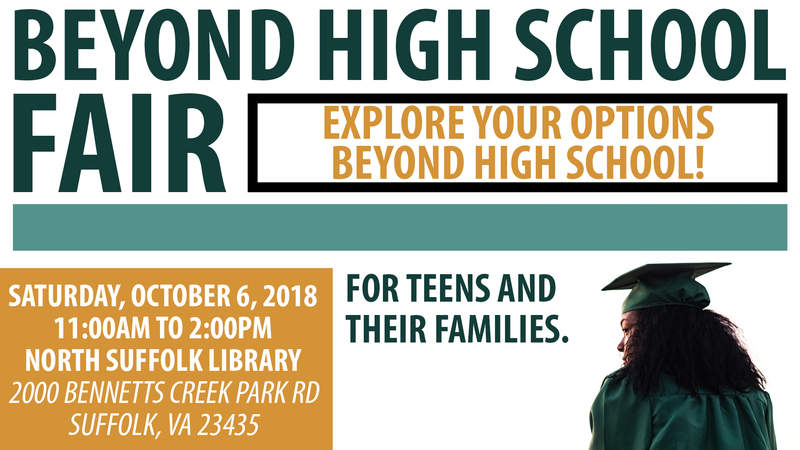 Local colleges, trade schools, military recruiters, and guidance counselors will be there to answer your questions about life beyond high school. Not going to college? Don't worry, we've got tips and career advice for you, too! If you're a teen, you can't miss this event!